Outside view of the Crownover Chapel in Fairland. The first public building in the area known as Backbone Valley, this small building was named for Rev. Arter Crownover, a Methodist minister who preached here. Though apparently started in 1859, it was not completed until 1870. The Civil War resulted caused so many local men to join the fight that construction was halted in the first half of the 1860's. 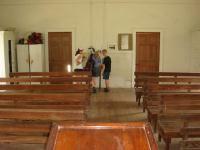 We were surprised to find the chapel unlocked and were afforded the opportunity to look around. A guest book near the back of the room does seem to indicate that guests are allowed. Still it was unexpected. A view down the aisle from the back of the church. 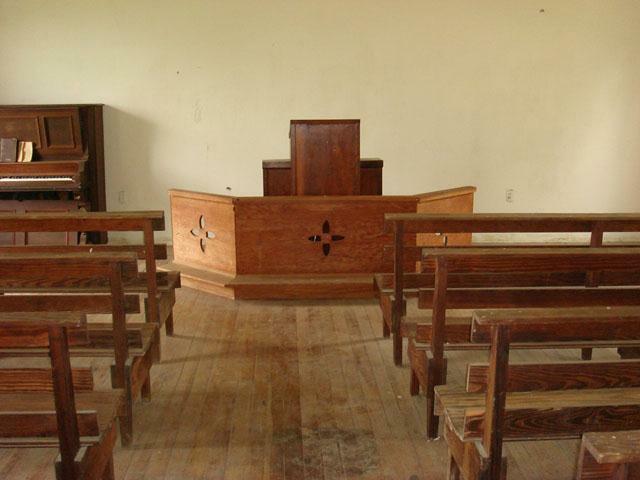 It's a one room structure with several rows of wooden pews and a wooden pulpit from which the reverend would preach. Several hymnal books laid on the pews and stacked in a storage cabinet in the back. A piano in the front corner of the room has sheet music laid out, ready to be played. The keys looked a bit ragged, so we didn't take any chances and didn't touch it at all. Near the guest book at the rear of the building (or front depending upon whether you consider the entrance or the pulpit as the rear) includes a few photocopies of pictures taken in the area including an old gas station and a pecan elevator. 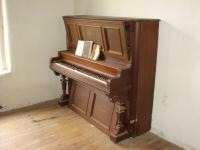 This old piano still appears in working condition. A list of local residents who were serving in the military showed a potentially interesting trend. The list that appeared to be for World War I had many more names than the list that appeared to be for World War II. This seems to indicate a depopulation of the area unless the second list was not complete. Some resources bear this out. The estimated population in 1925 was 200, but had fallen to 50 by 1939. A view from the pulpit looking towards the back of the church. Soon after construction of the stone building a wooden school house was also added that has long since vanished. 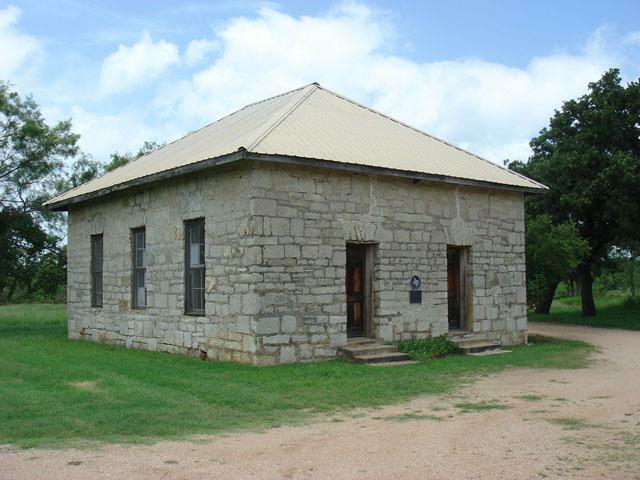 By the end of the 1800's additional churchs of varying congregations were constructed and by 1937 the congregation at Crownover started to meet in member's homes instead of here. 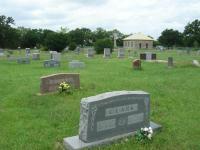 The group later merged with a group in Marble Falls. 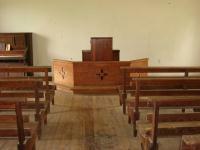 Today services are sometimes held in the church and the building also serves as a community center for the area. As of 2000, Fairland was listed as a community of 290 residents. 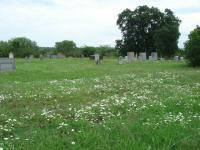 The church sits next to the Fairland Cemetery that has been is use since either 1857 or 1872, depending upon which reference you care to use.